IHS Markit released the results from its annual Service Provider survey of Optical Equipment vendors, with Ciena taking the top spot in a variety of categories. In a global survey of service providers by IHS Markit, Ciena took the crown as #1 supplier for Optical Transmission and Switching. Ciena was also ranked #1 in a host of other categories ranking the world’s optical equipment vendors, taking the top spot in 6 of the 9 categories surveyed. 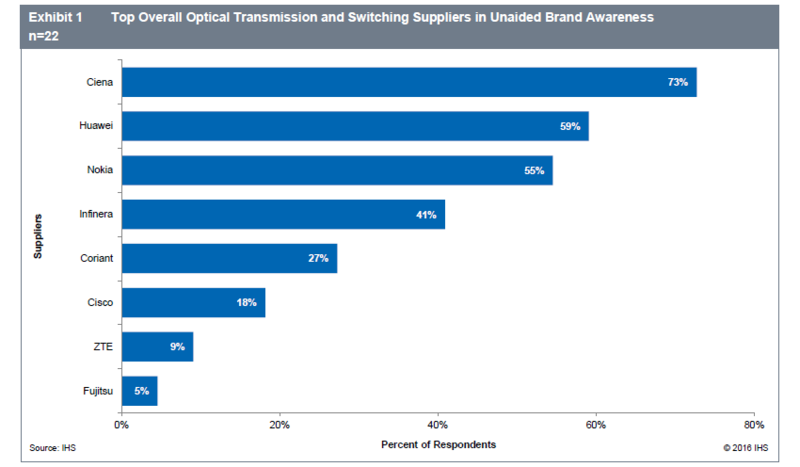 The IHS Optical Equipment Vendor Leadership survey is an annual survey of decision-makers and significant influencers at the world’s incumbent and competitive service providers. Respondents were asked open-ended, unaided questions regarding whom they consider to be the top 3 equipment suppliers in a variety of categories. 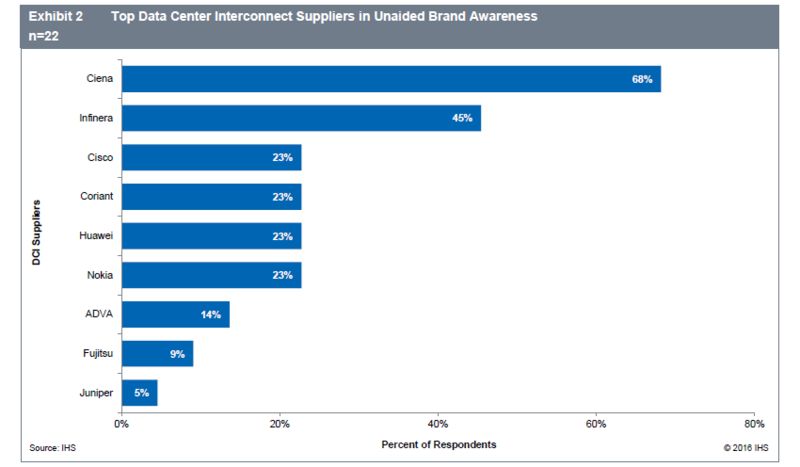 A full 73% of respondents named Ciena in their unaided response as a top overall supplier. In addition to its #1 ranking as the top overall optical transmission and switching supplier, Ciena impressively sat at the top of the list for 5 other categories surveyed. 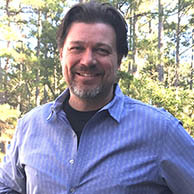 This included the hotly contested market for Data Center Interconnect (DCI), where a mix of cloud, OTT and data applications are driving the need for efficient, ultra-high capacity transport (see Ciena unveils new Waveserver Ai, delivering massive scale for DCI). It was in this category of DCI where Ciena separated itself most from our competition. Ciena was named in a full 68% of responses, with Infinera a distant second at 45% and no other vendor garnering a vote from more than 23% of respondents. The IHS Markit survey also covered topics like leadership in technology innovation and R&D, both areas where Ciena was seen as the clear leader. Ciena was also seen to have the broadest optical transmission solution portfolio by the group of service providers. 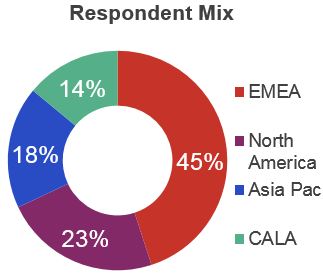 Another hot topic that the IHS Market survey covered was Transport SDN, defined in the survey as “the use of a centralized control plane to automatically and rapidly provision and optimize layer 0-1-2 connections across layers 0-1-2 multiple vendor equipment in multiple and network domains.” Once again, Ciena was the clear leader in this question, with 55% of respondents naming Ciena unaided. We have worked with IHS Markit to secure an excerpt of the report that is now available as a free download. Inside you’ll find survey results for the industry’s optical equipment vendors across a variety of categories.